Welcome to Day 2 of our Impression Obsession die showcase! See the I.O. blog for all the details! You can visit the I.O. Blog each day of the hop for links to the previews. Make sure to comment on all our blogs for a chance to WIN! Each day one winner will get three dies of their choice!! I always like taking stamps and products 'outside the box', so here is a fun jewelry project I made using the leaf die sets! I cut the maple shapes from a piece of cardstock that protects my work surface from extra ink and paint, then cut 3 more layers for each piece from watercolor paper and glued all the layers together with Tacky Glue. After trimming the stems and punching a hole for the ring, I coated each piece front and back with Crystal Lacquer. I got the idea for this project from THIS VIDEO -- the dies sure made the shaping a breeze! Remember to leave a comment! Hope you have a great day! Very clever project! Great gift idea! Your design is magnificent! I'm a jewelry maker so love the idea of using dies as beads! Gorgeous set, very creative ! Just beautiful...talk about versatile dies. These leaves are wonderful. Oh Dina, your earrings and necklace are gorgeous. I would never have thought of using paper as a base for jewellery! It's a great project and I love both the colors you used and those leaf dies. Wow!!! Gorgeous one of a kind jewelry! Beautiful color! Holy AMAZING woman!!!! These are Scrumptious! Oh my! What a wonderful project using the leaf dies! 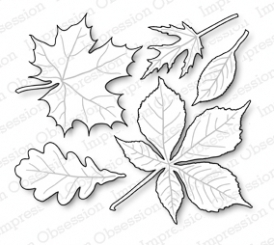 Can you have too many leaf stamps, dies, etc.? I think not. I love them all! Thanks for sharing your project and for the opportunity to win! 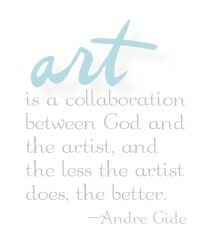 Dini, I admire your art to no end! You can do anything! How in the world you're able to craft, work as a designer AND do mission work is beyond me. I'm so glad you're a designer with IO! I adore their dies and your stamps are delicious! Thank you for what you do!! Very nice jewelry! Beautiful use of inks. This looks like a clay firing technique called "raku". Those leaves are on my list for sure - love the idea of turning them into jewelry . . . Fantastic!!! Love the idea, and will have to give it a try...and I have both these sets of dies...yeah!! Yet another use for that beautiful leaf die. Love your color choices! Dian, these leaves are gorgeous. Love the porcelain look. Beautiful jewelry! I am working on a card using these dies (for the next challenge). Love them! The Crystal Lacquer adds a beautiful glossy effect! OMGosh! I love the leaves dies made into jewelry! 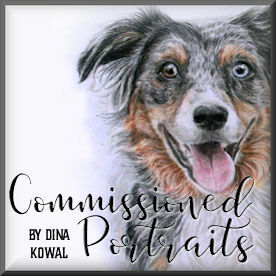 Dina, You out-do yourself time and again! The leaf jewelry is gorgeous. I want that necklace/choker, it is gorgeous. 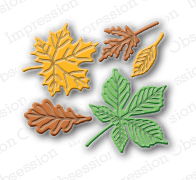 You did a great job and these leaf dies are fantastic. Beautiful leaf jewelry--I will have to try this technique. You always have the best ideas, Dina! Love this beautiful autumn set! Oh wow, what a cool project! I love the mix of colors on it, looks amazing! Very pretty. Thinking outside the box is a good thing. I love those leaves. Neat idea and I have that die. Wow! Lovely jewelry! Do you ship to the US? Wow Dina These are really stunning!! I might have to borrow your idea to make with the kids at school for prezzies for Mom at Christmas or Mother's day! Such a cool project!! I'm so glad these leaf dies now come in a smaller size!! HOLIDAY GIFTS - thanks for the idea! What gorgeous colours you used in that set. Just lovely! Beautifully done for the upcoming fall season. so many great colors for your wardrobe. How about making another an putting clips on the earrings? Great gifts. Beautiful jewelry, love it! Thanks for the inspiration! Really beautiful jewelry set. Very creative! Love the leaf jewelry. Very clever to use the dies for this! Wow, I'm going to try this. Beautiful! Beautiful - love the colors on your leaves!!! Love the jewelry, the fall colors are beautiful! What a great project. I love this idea. And using that protection paper is a fab tip also. Your project is beautiful! You make it sound so easy, I may give it a try. Dina, I would have never thought of using the dies to make jewelry. You have done a beautiful job. Wow! A great idea and this set is beautiful. Thanks for the tutorial. Great idea and they're just beautiful. Really beautiful project!! And to think they came from something you would usually through away - your 'stamp off' paper. Great work making the jewelry. :) Thanks for sharing. a great idea and they're perfectly coloured for fall. Very interesting use of stamps and dies; jewelry! How pretty. Great project!! The leaves are beautiful! These are perfect dies for creating home decor and jewelry like you did. Just love the deep rich colors of your leaves. Beautiful necklace and earings! Truly inspiring, I would like to try this out myself. Your jewellery set is amazing! I love the colours and texture. They are shaped to look like leaves. Beautiful! Love those leaves dies! Can't wait to try this! Such a super technique, thanx for the instruction link! I think I see a lot of this being done for Xmas presents for my girl friends!